Are you new to the attractive and tempting world of investments? Do you find it difficult to cope with the technical jargon and the vagaries surrounding investment? Is it time for you to depend on a good service that will help you manage your investments and increase profits? Well, Macroaxis will help you solve your investment troubles easily. Macroaxis is a web based personalized investment management service which offers services to users of all levels, be it a novice or an experienced investor. It helps clients optimize their portfolio based on the formula outlined by Modern Portfolio Theory (MPT). MPT based on the easy-to-understand concept that rational investors will diversify to optimize their portfolios. The company’s real stroke of genius is in providing a complex service in a simple, easy-to-understand way. Its simplicity is one of the reasons why Macroaxis is very popular among the investors and outshines many of its competitors. 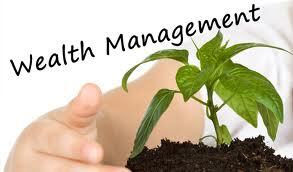 Its free online portfolio management system is the one stop solution for all your financial investment worries. The company is not a social investing site, but promotes itself as a wealth management platform that offers an educated and straight forward approach to asset allocation and selection, so that its investors can carry out complex wealth management analytics in the context of MPT. The users have the option of using their own personalized diversification toolset offered by the software to reduce their exposure to risks and to increase and improve on their long term expected returns. In order to access the services offered by Macroaxis, you will need to create a new account on their website. Once you have a Macroaxis account, you can click on the Add portfolio option to create your portfolio as well as give a name to your portfolio. Once you have created your portfolio, you can enter your holdings. The various modules offered by Macroaxis help you invest and manage your investment portfolio and make portfolio optimization a breezy and efficient task. The website is very easy to use and offers its users with all latest and advanced investment tools to help them invest properly and increase their profit margin. The site also features a portfolio suggestion tool that will help investors improve their portfolio to generate improved returns across various markets and time horizons. All you have to do is to choose the most suited plan for your portfolio and to use the power of Macroaxis to build wealth by minimizing risk and maximizing returns. Marcoaxis’ sophisticated tools will help you to minimize your risk and maximize investment returns. It has many easy to use tools that will help you to assemble, analyze as well as monitor all your portfolios in double quick time. This website will also offer you with the option of automatically applying analysis to find better portfolios for you, without you needing to do anything. This website can help users improve their portfolio; no matter the individual investor is a novice person or an experienced investor.